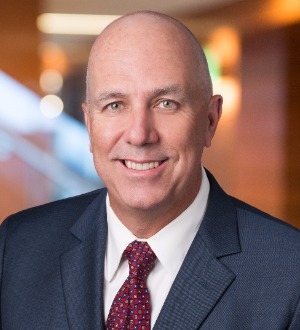 Pete Nyquist is a partner in the firm’s Los Angeles office. His practice covers a broad range of environmental issues, including federal and state Superfund and contaminated sites, administrative and enforcement matters before federal and state regulatory agencies, cost recovery and citizen suit litigation, and transactional or environmental diligence support. Pete regularly represents clients in matters involving investigation, remedial or corrective action requirements at contaminated sites, including enforcement proceedings. He routinely interfaces with federal and state regulatory agencies and has appeared in numerous administrative proceedings, appeals and subsequent writ actions. Pete has represented clients at numerous USEPA Region IX and state Superfund, RCRA and sediment cleanup sites. Additionally, Pete advises clients regarding compliance with water quality and NPDES requirements arising under the federal Clean Water Act and California’s Porter-Cologne Water Quality Act. This includes extensive experience addressing storm water permit requirements. His broad litigation experience extends to federal and state courts, including successfully resolving numerous cost recovery, toxic tort and citizen suits. He has successfully utilized chemical forensics and fingerprinting to apportion or avoid liability. Pete is listed in Chambers USA and The Best Lawyers in America as among the top environmental practitioners in California. He is “AV” rated by Martindale-Hubbell.